This analogue conversation recorder stores your telephone conversations automatically onto standard audio cassettes. Due to the integrated voice control the recording does not start until beginning of a conversation and automatically stops at its end. The total recording time is up to 8 hours. With the PKI 1870 you have the possibility to control all telephone conversations in your house during your absence. 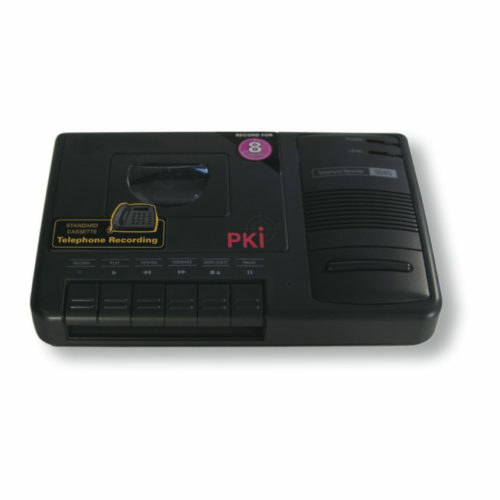 A similar device for digital telephone systems is part of our product range as well. Please contact us for detailed information.